March 2013 – Girl Who Would be KING on Life, Style and INSPIRATION. B Well – Dance your way fit! If you like Pilates try BARRE3 – where Ballet meets Pilates and Yoga with small handheld weights and high energy tunes. It targets your upper arms, abs, seat and calves. I think this is the one I’m looking for. Created in Portland, Ore., this exercise routine can be found at studios in California, Missouri, Nevada, New Jersey , Ohio and Washington, with more planned. If you like ZUMBA (I do), try JUICY ATHLETIC MOVES – a vigorous, choreographed blend of world music. Each 75-minute session builds endurance, blasts hips, and carves a svelte waistline. Stars like Pink and Minnie Driver used it to reclaim their bodies post-pregnancy. Malibu based founder and trainer Neda Soderqvist streams her 60-minute evening classes through the JAM Web site (juicyathleticmoves.com). If you like Cardio Sculpt, try FLYBARRE. A fast-paced pop music-fueled sculpting class that merges light interval-based weight training and ballet. The hour long series of lunges, squats and stretches lengthens your core. You’ll get a lifted derriere (and who won’t appreciate that), trimmer thighs and toned arms. Fans flock to locations around the country, from Atlanta to Seattle. Visit flywheelsports.com for more info. If you like HIP-HOP try MASALA BHANGRA – a funky, high-energy Indian folk dance with the glitz of Bollywood. This 45-minute routine engages every muscle while burning 500 – 700 calories. You’ll see the biggest changes in your biceps, deltoids and lats – plus, you’ll lose inches from your midsection. 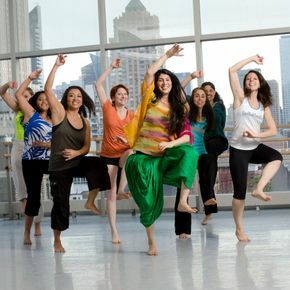 Classes are held in gyms nationwide (Crunch is one) and creator Sarina Jain offers instructional DVDs such as Masala Bhangra Workout: Bollywood Diva Style ($23 – masaladance.com). Let me know if you try any of these and how you like them. 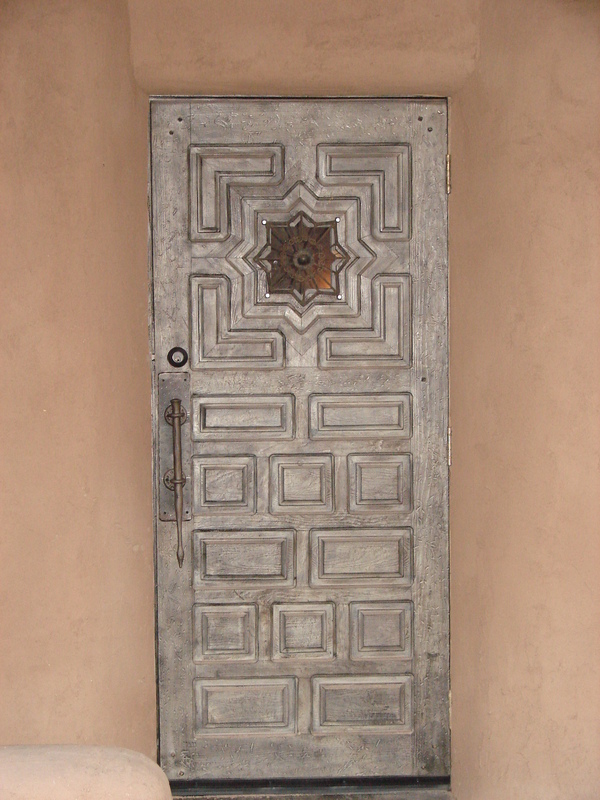 A sampling of doors I really like from Taos, New Mexico. Our new uplifting facial mist will refresh your face and comfort your skin with its blend of natural floral waters & healing essential oils. étoile will help hydrate your skin before applying makeup and putting on your regular night time moisturizer or face oil. It temporarily plums up the skin and bestows a pleasurable feeling as it locks water into your skin when you apply oil or moisturizer before it dries completely. It will make a divine addition to your usual skin care regime. 100% of those from our test group loved it. 4 oz / 120 ml cobalt glass spray bottle with silver rim. 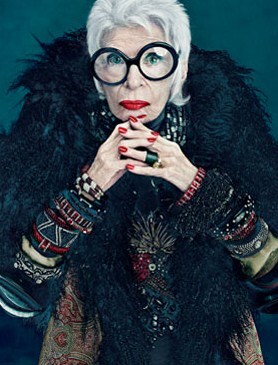 Style & Substance: according to a chic 91 year old. From a MAC cosmetics Ad. Oh, Great Bangles. “Fabulous at Any Age” issue. This goes to prove that you can be amazing at any age if you take care of yourself, have a sense of humour and don’t take life too seriously. What’s wrong with fashion today: Since I became a geriatric starlet, women are always asking me, “What should I wear?” Honestly, women today take dressing way too seriously. Fashion shouldn’t get to a point where it makes you unhappy. Because when you’re unhappy, you look older. I do not intellectualize what I wear. I just put on what I feel like. People see me and say “Ooooh,” but I think it’s a crock. Looks good no matter what your age: If your hair is properly done and you have on good shoes, you can get away with anything. That and having a good attitude – try to keep yourself on an even keel. All the plastic surgery in the world isn’t going to help if you’re unhappy. Style is: Knowing who you are. Someone told me a good definition recently. They said, “Real style is having a deep curiosity about yourself.” And attitude, attitude, attitude! I never leave home without: My eyeglasses, because I would probably fall down the stairs. But eyeglasses have become very high fashion these days. You can really change up your look with them. My Uniform: For day, I live in jeans. I have so many, from the lowliest to the most fabulous. I think I was one of the first women to wear jeans; I had to fight to buy them once at an army-navy store. Jeans are very basic, so you can be creative with the rest of what you wear. I also have the most spectacular black-tie jeans. I like very simple, dramatic clothes. A little sense of drama is good. Most proud of: I’m proud that I’ve been able to do so many different careers, and at 91, I’m still doing new things: I have a collection of eyeglasses for Eyebobs and a line of handbags, shoes and jewelry for HSN. I’m always trying to help women be themselves and teach them not to roll up in a little ball when they are a certain age. And this March, my husband and I will have been married for 65 years. Favorite show: I just became addicted to Downtown Abbey. Most overrated: Don’t get me started! I think the over stressing of technology is dehumanizing. People are always pressing too many buttons. Signature dance: I like cheek-to-cheek dancing. My husband and I used to dance the rumba. Sometimes I put on jazz records and dance by myself. Iris was on the cover of Dazed and Confused Magazine. 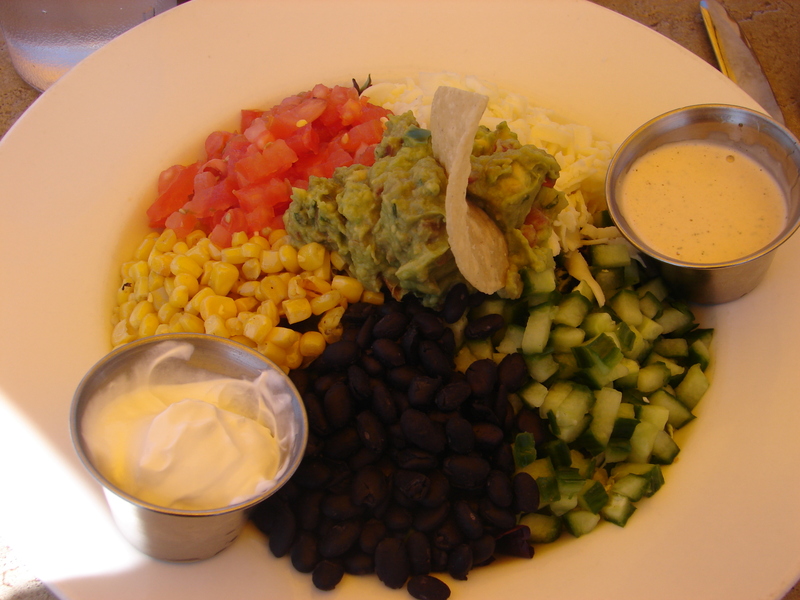 Sunday for lunch I ordered a deliciously tasting salad from the *Taos Cantina in Sedona, AZ. Sedona has to be one of the most picturesque cities in the world. It’s a take on traditional taco salad but without the taco shell. It came with ranch/chipotle dressing on the side and sour cream. I would omit the sour cream (extra calories) and mix a litehouse ranch with chipotle (sparingly to taste) from the can. What a pleasant presentation for guests especially in the summer. Underneath the surrounding mix of chopped tomatoes, chopped cucumber, black beans, corn kernels, queso blanco (mild Mexican white cheese – but you can probably substitute with Mozarella) there was a nice array of organic spring mixed lettuces which you can’t see until you mix it all up. On top in the middle was some guacamole and a few tortillas. I would suggest chopped avocado and cilantro in place of the guacamole and lime slices on the side…and a Corona extra. I’m ready for another FIESTA! 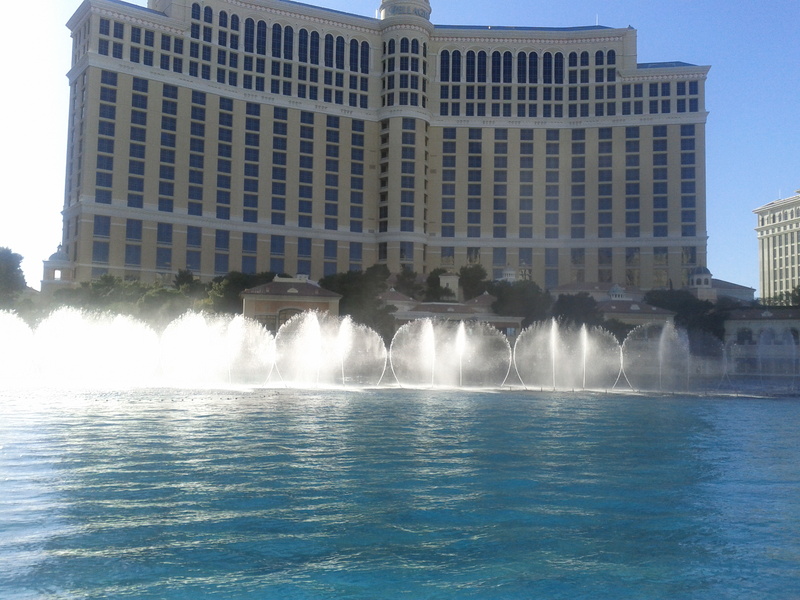 *We sat outdoors surrounded by majestic red rock mountains (or monoliths) on all sides. 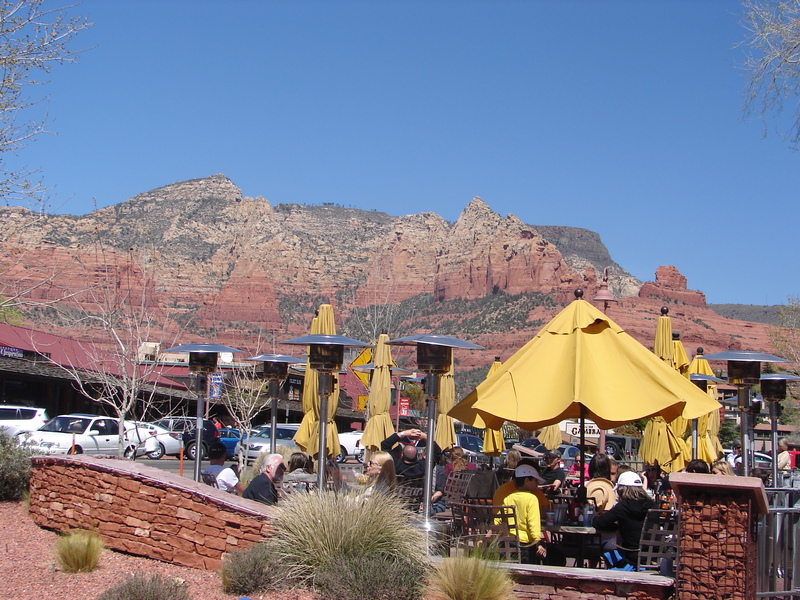 Sedona is known as a spiritual place abundant in spas and retreats but it is also a tourist destination with many touristy shops. Great place to bike & hike. 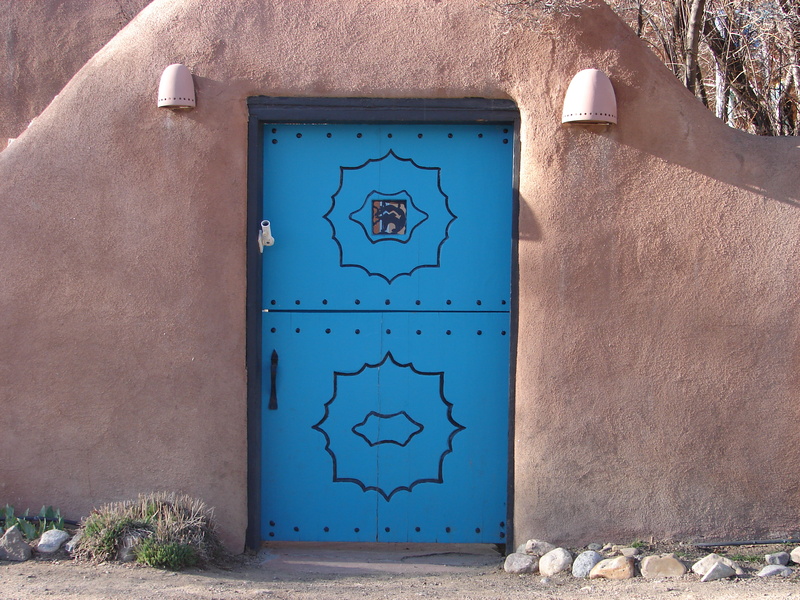 Taos Cantina – in Sedona with a backdrop of spectacular scenery. 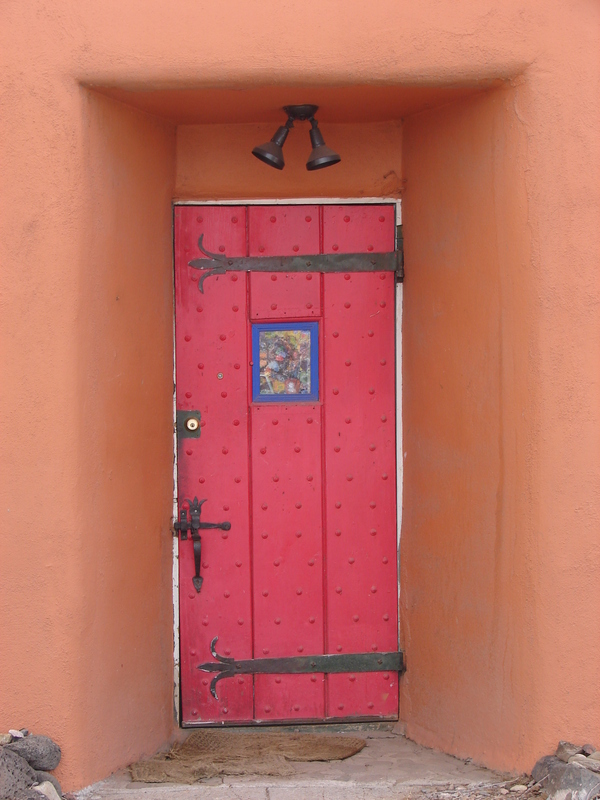 Scene in the City – Sky’s the Limit! 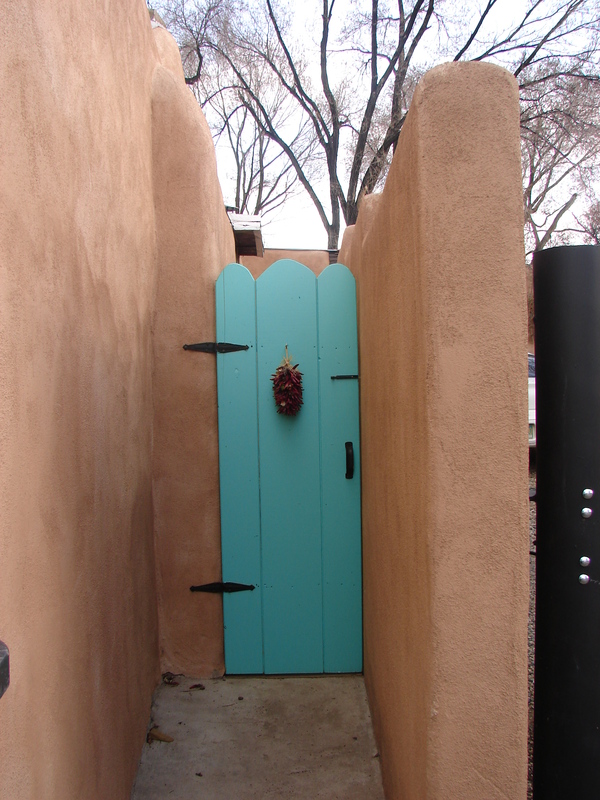 A most unusual vending machine – goes with the surroundings. SLOT CANDY. 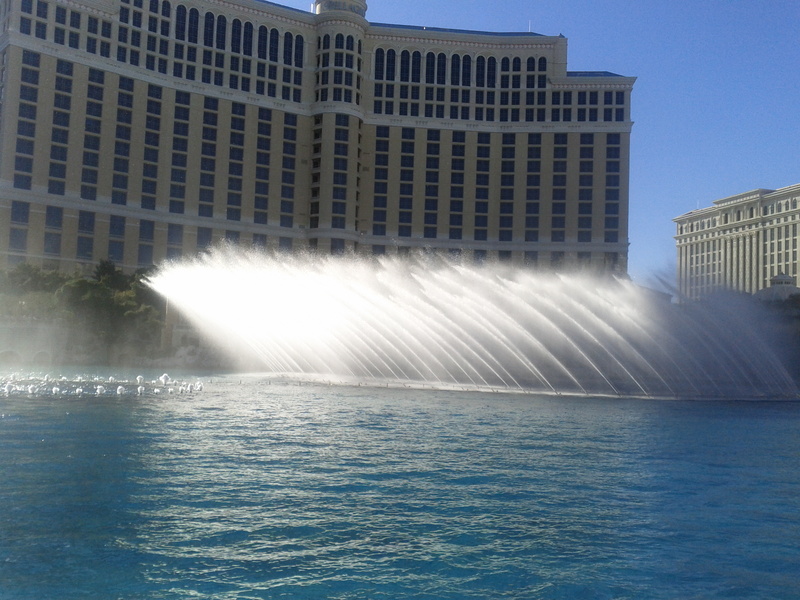 In LAS VEGAS even the Vending Machines have NO LIMIT. 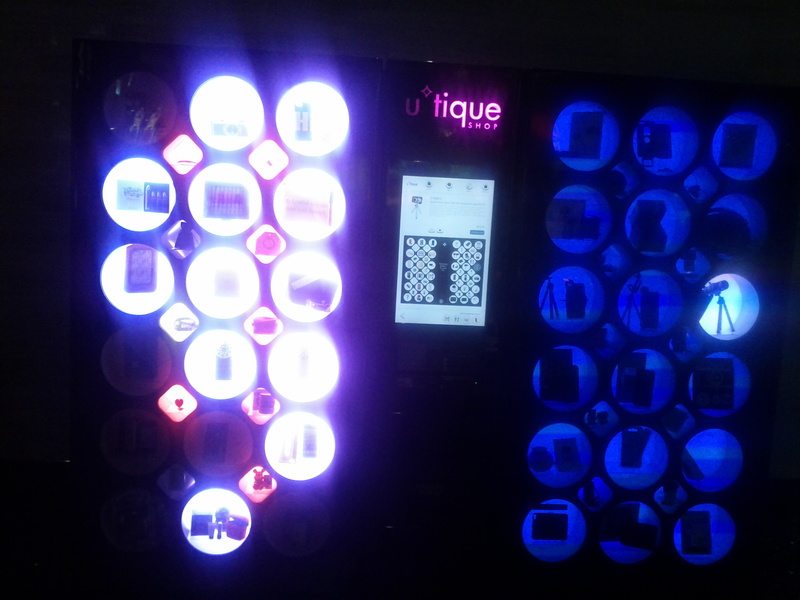 These are the most cosmopolitan vending machines ever! 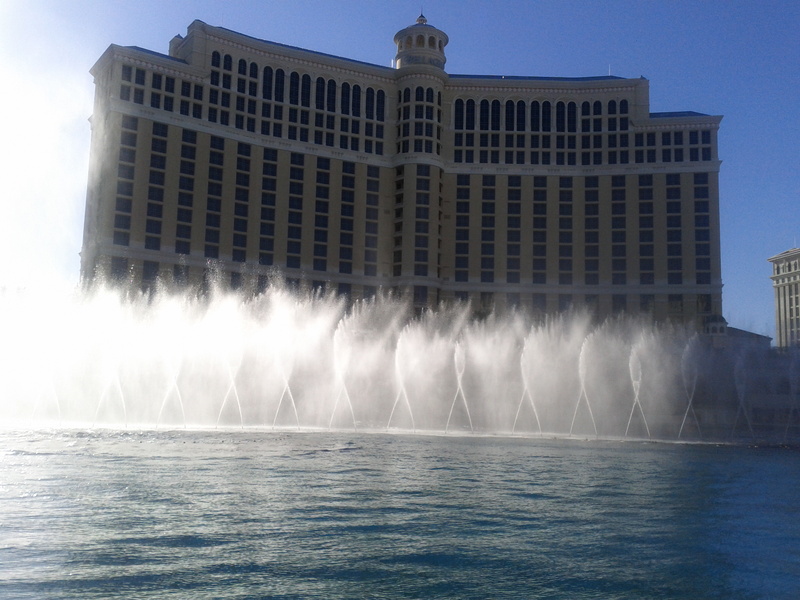 And guess where we spotted them? 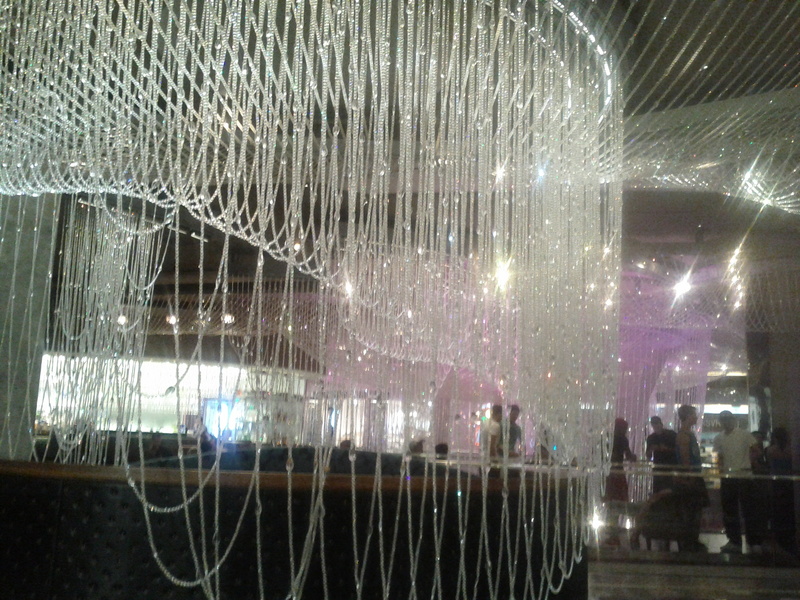 In the lobby of the too cool for words Cosmopolitan Hotel. These are not just for canned sodas and candy. No way, not here. 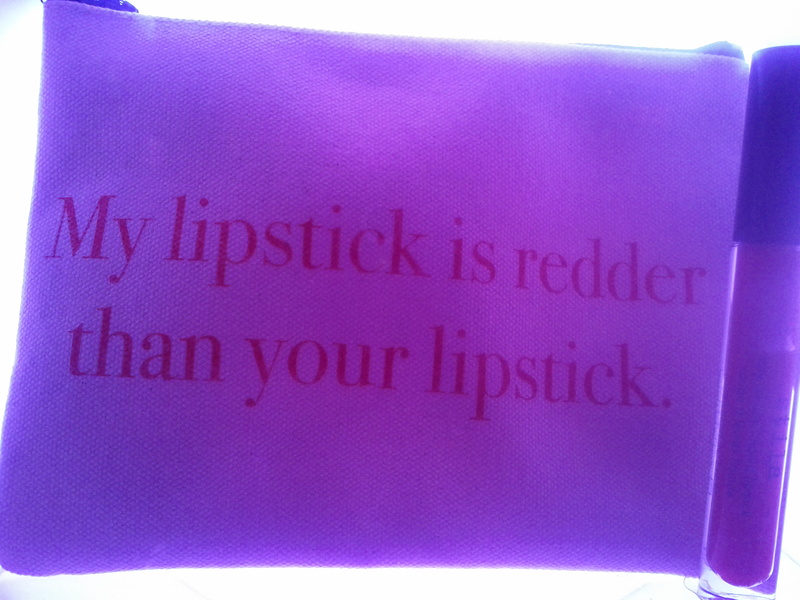 My lipstick is redder than yours – makeup case. 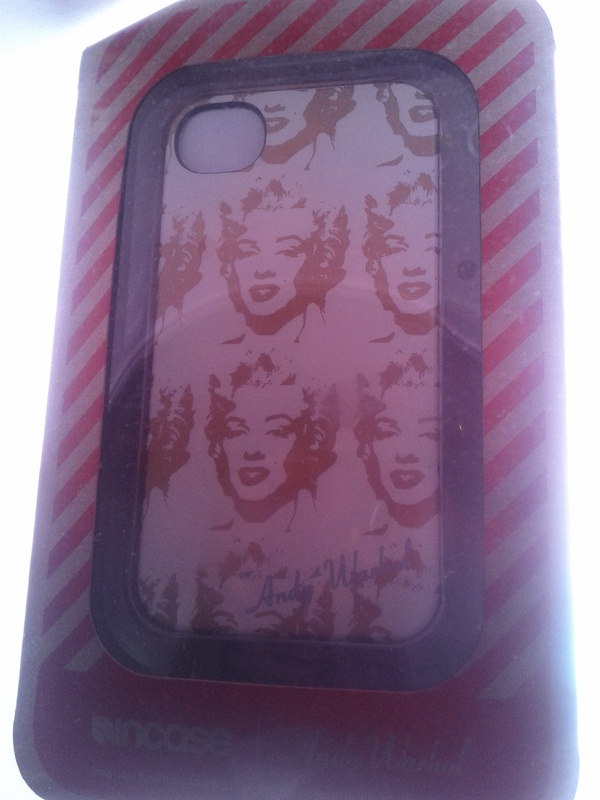 Andy Warhol I phone cover. 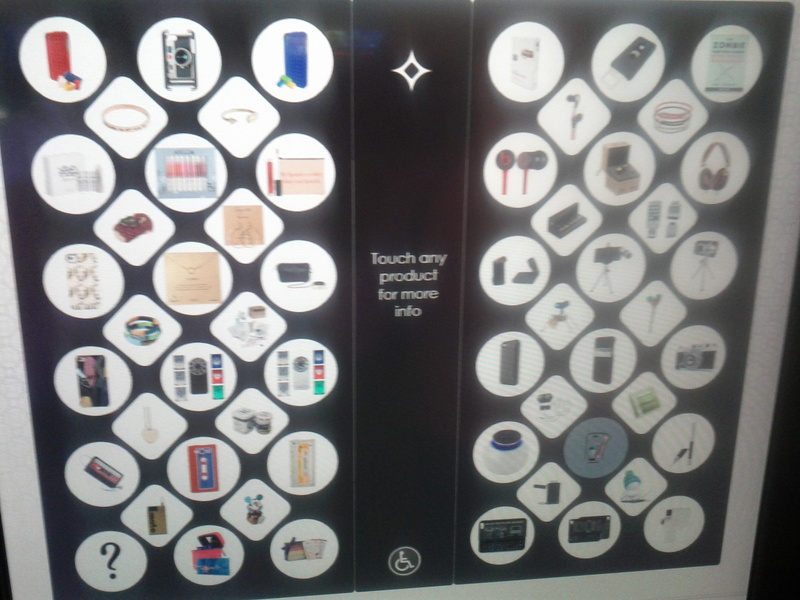 From this vending machine you can get stuff like lipsticks, telephoto lenses for your galaxy & I phones, limited edition Andy Warhol-Marilyn Monroe I-phone cases, and just plain bling (well not that plain). They take credit cards?? 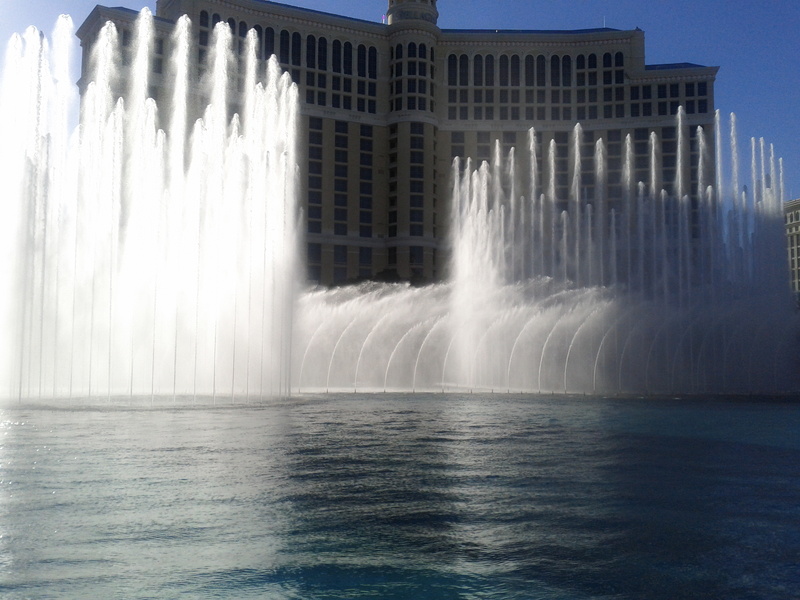 And like all the other slot machines in this town there seems to be no spending limit on these either. 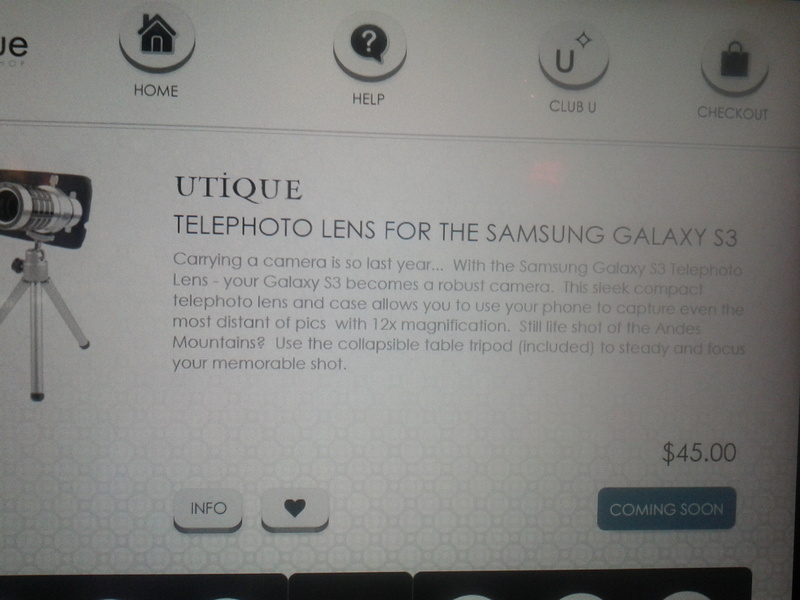 I think a telephoto lens for your phone could come in handy, don’t you? 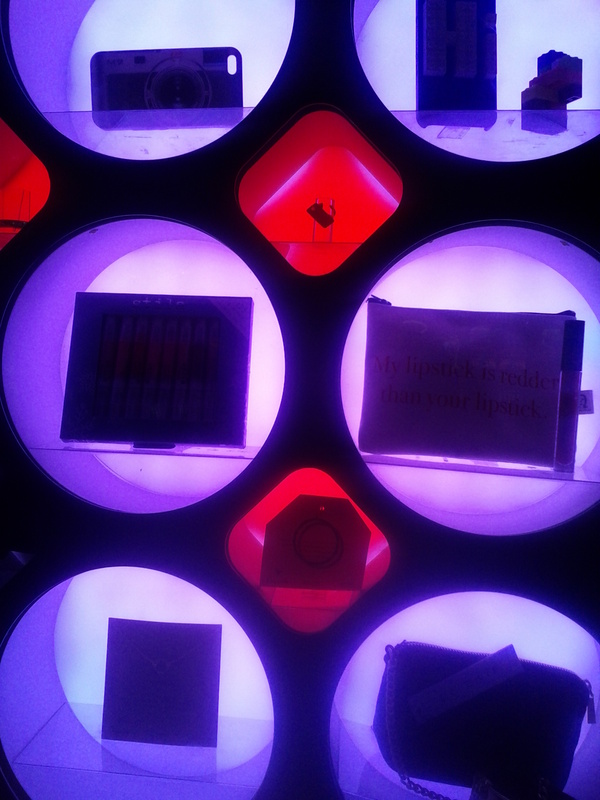 A regular bar at the hotel. 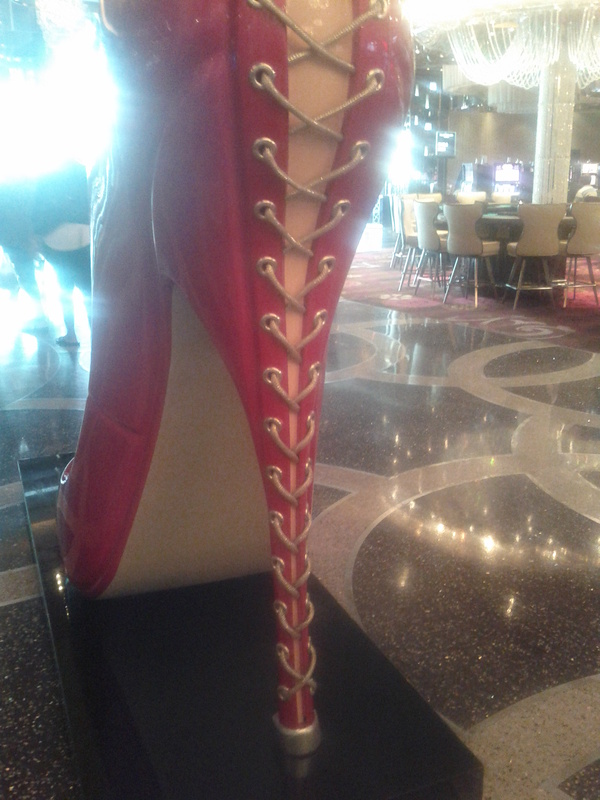 This hotel is a shoe-in for the well-heeled. 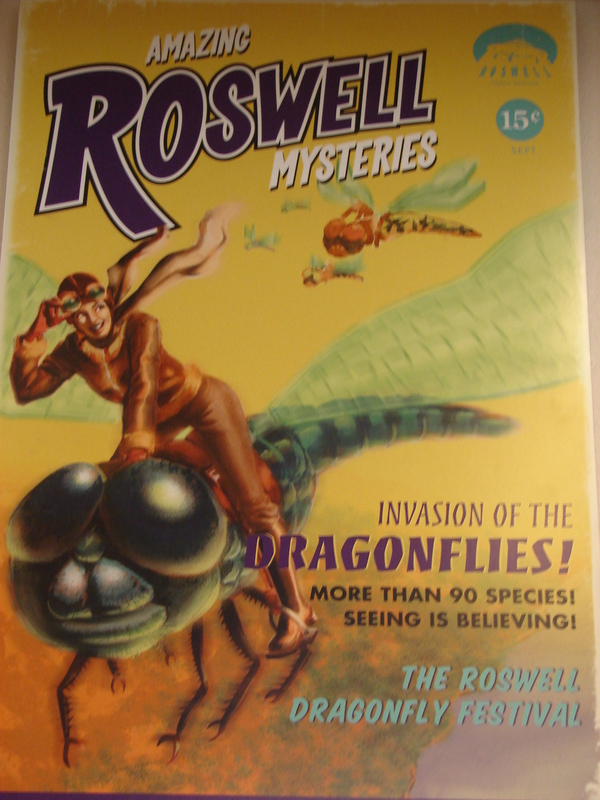 The mystery continues but All’s well in Roswell! 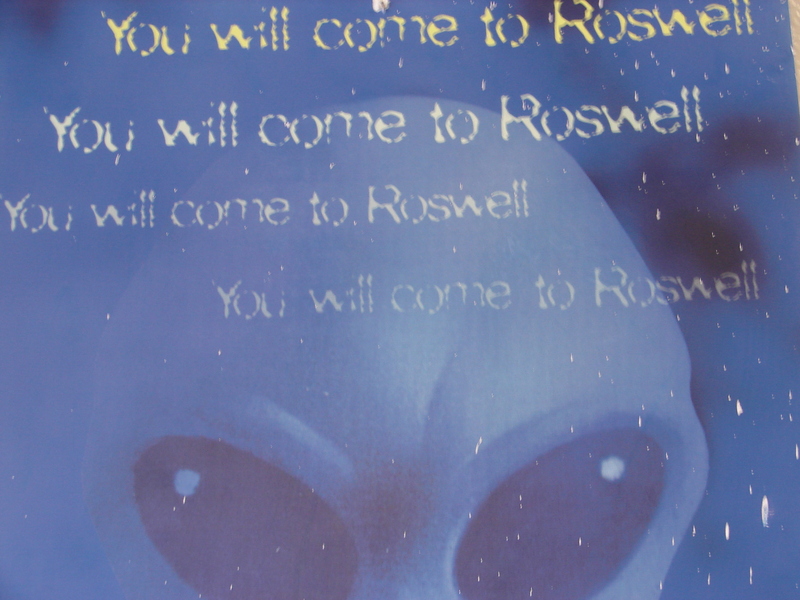 This might sound a bit “out there” but since we weren’t too far away to begin with, I really wanted to visit Roswell, N.M. if only for the experience of being in the location where supposedly an alien spacecraft crash landed in 1947 with all the controversy surrounding it. In any case……do you ever wonder if there’s intelligent life outside of our little planet? God knows we don’t have too much intelligence here on Earth so hopefully there is some to be found elsewhere! So now we’re glamping (my version of camping) in our Eurovan camper in this very flat, very desolate campsite beside a bottomless lake and surprisingly enough there’s wireless (first campsite to have it so far) but there are no antennas. Strange right? Last night we saw a beautiful shooting star and in the middle of the night there was some commotion going on outside but we couldn’t see anything. On the evening of July 2nd, 1947 a bright, disc-shaped object was seen flying over Roswell, New Mexico, heading north-west. 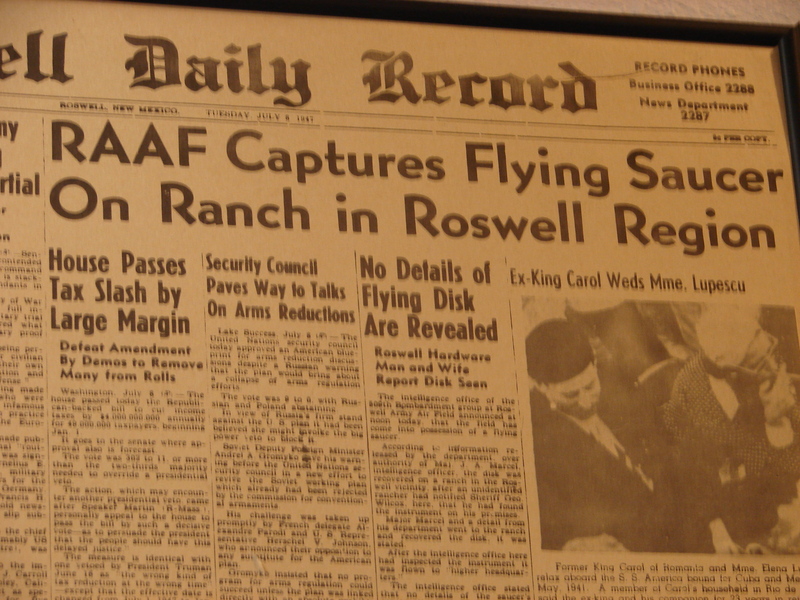 The following day widely scattered wreckage was discovered about seventy-five miles north-west of Roswell by a local ranch manager, William Brazel, together with his son and daughter. The authorities were eventually alerted and a quantity of wreckage was recovered by Major Jesse Marcel, a staff intelligence officer of the 509th Bomb Group Intelligence Office at the Army Air Forces base at Roswell Field, together with a Counter-Intelligence Corps officer. 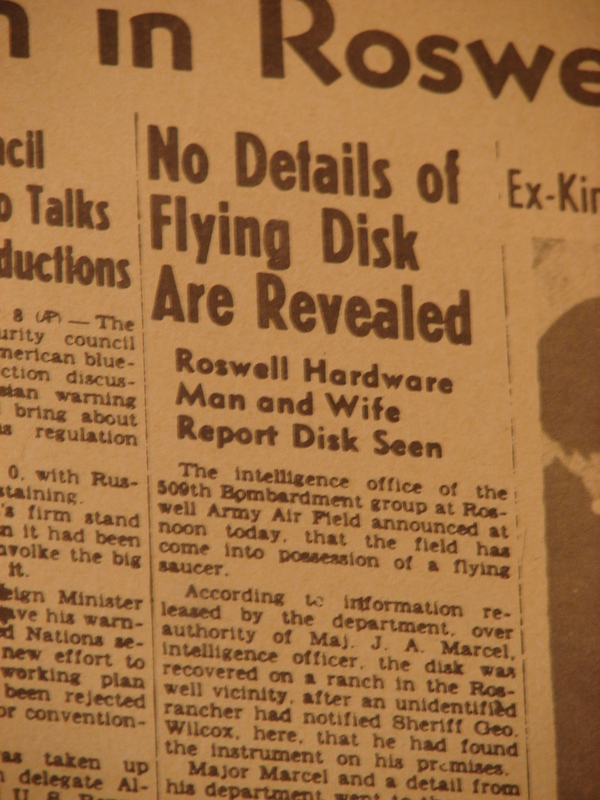 Once the officers had returned to the Roswell base, an official press statement was released, authorized by Colonel William Blanchard, confirming that the wreckage of a flying disc had been recovered. Marcel was ordered to load the debris on a B-29 and fly it to Wright field (now Wright-Patterson AFB) at Dayton, Ohio, for examination. The unidentified wreckage, scattered over an area three-quarters of a mile long by several hundred feet wide, consisted of various types of material, which according to Major Jesse Marcel was like nothing he had seen before or since. On arrival at an intermediate stop at Carswell Army Air Forces Base, Fort Worth, Texas (headquarters of the Eight Air Force), General Roger Ramey took charge and ordered Marcel and others on the plane not to talk to reporters. A second press statement was issued which stated that the wreckage was nothing more than the remains of a weather balloon and it’s attached tinfoil radar target, and this was prominently displayed at the press conference. Meanwhile, the “real wreckage” arrived at Wright Field under armed guard; Marcel returned to Roswell, and Brazel was held incommunicado for nearly a week while the crash site was stripped of every scrap of debris. 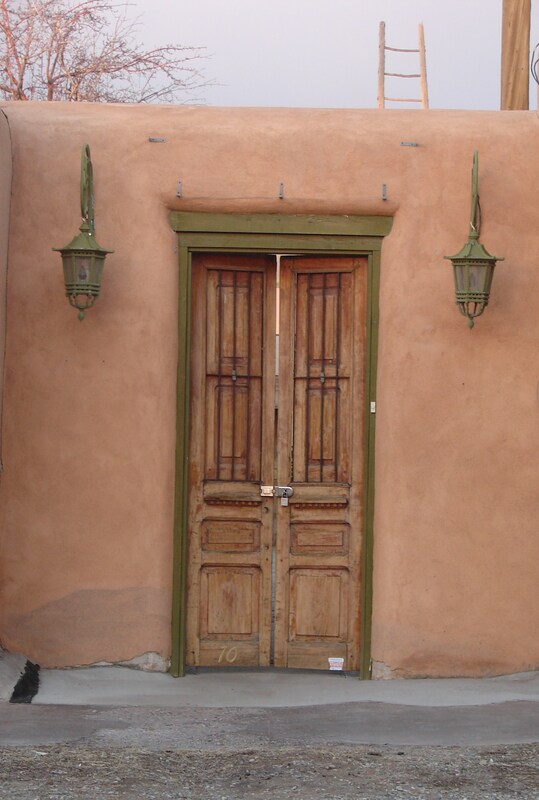 A news leak via press wire from Albuquerque describing this fantastic story was interrupted and the radio station in question, and another, were warned not to continue the broadcast. One of the most contentious aspects of the UFO enigma is the allegation that a number of flying saucers have actually crash-landed and been recovered by the military in great secrecy. Former US Air Force intelligence officer Leonard Stringfield, for example, has now collected at least forty such accounts, some of them from first-hand witnesses. One incident that now seems indisputable – in the sense that anomalous wreckage was recovered – occurred within a few days of the United Airlines sighting, and has been the subject of one of the most thoroughly documented investigations on record. The claim has been generally dismissed for lack of proof, yet the evidence is compelling. There are even rumurs of an alien “being” having been found and kept by U.S. government. 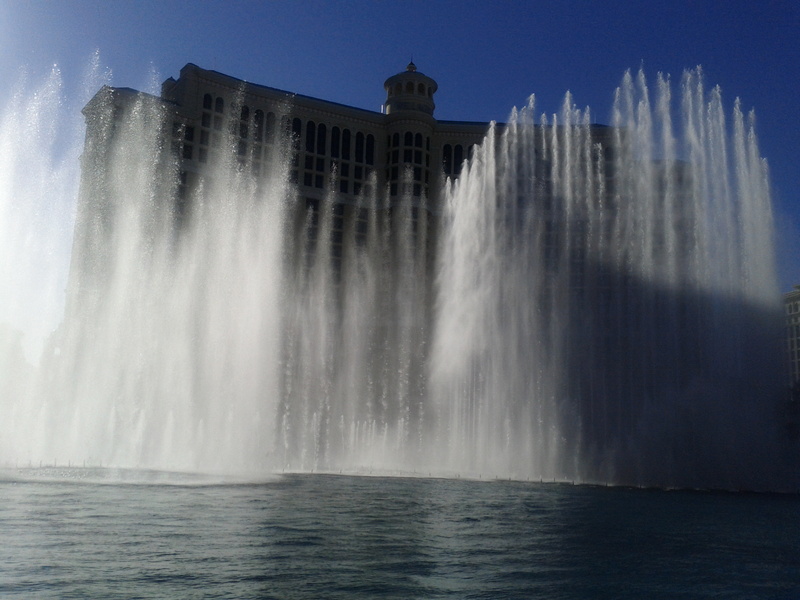 It gets even more dramatic in the evening. Every 15 minutes with an additional light show. 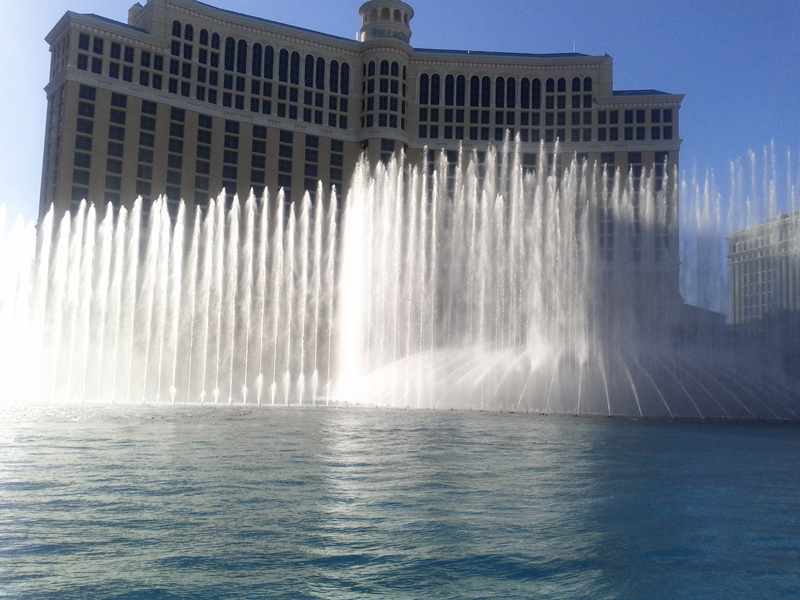 One of my favorite Vegas past times is to sit at the outdoor “Mon Ami Gabi” cafe at the Paris hotel with a glass of wine and just relax and watch the show. 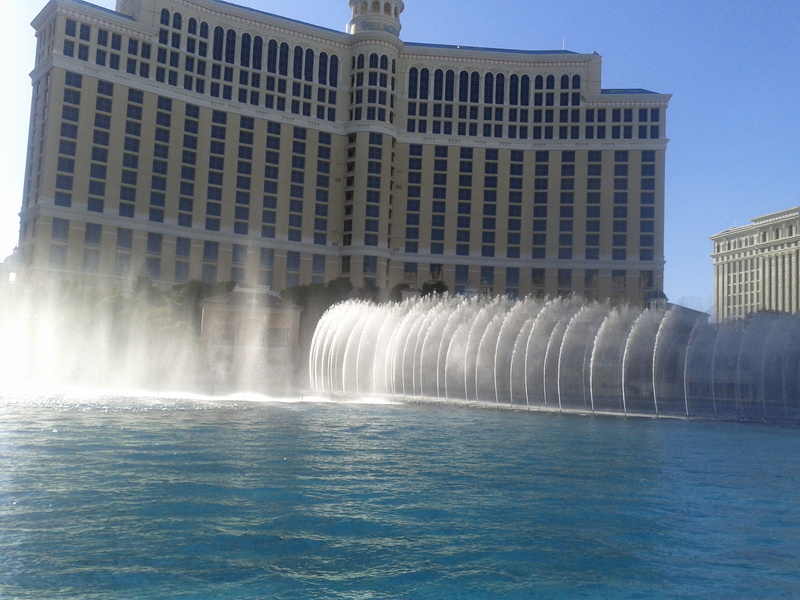 That’s before hitting the casinos of course.